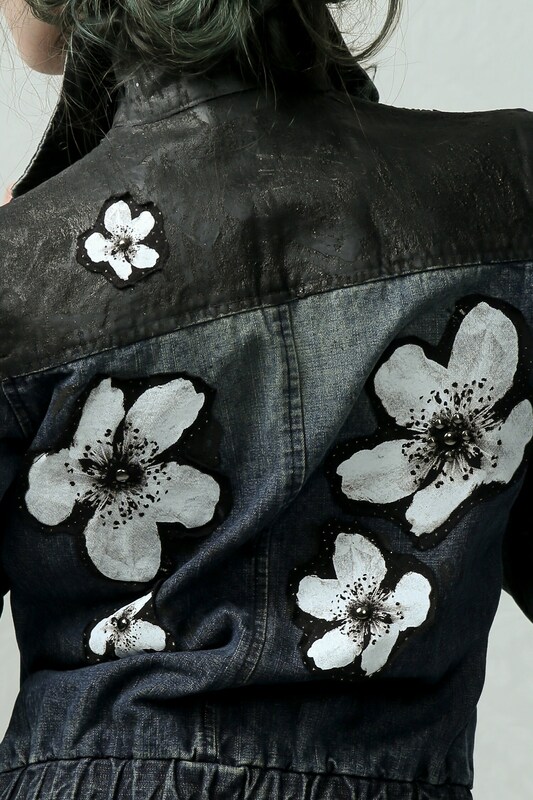 Denim jacket with hand painted black ink coating on sleeves and front/back panel. Silk screen-printed appliqué embroidery 'Flowers' photo art by designer and artist Ingeborg Steenhorst. 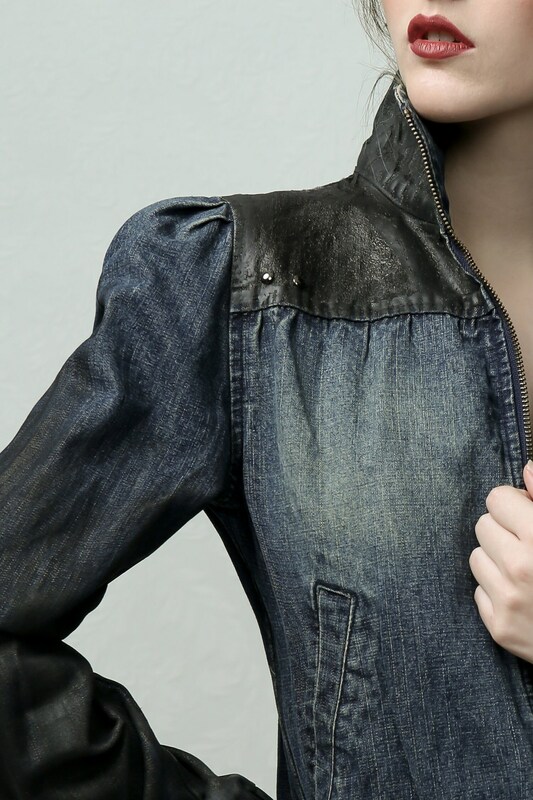 Round silver metal studs on front and back give the jacket a subtle 'Rock' style.